Ford was flicking switches, listening to frequencies and ignoring, for the moment, the man standing behind him. He pulled off his headphones and shook his head. ‘Nothing. Security are on their way. Be about 5 minutes. It’s probably…’ His voice trailed off into an uncomfortable silence. ‘Let’s hope so. Call me the minute they arrive.’ Freeman moved away, glancing back every few seconds as he patrolled the control room, checking other consoles. No sign of the enemy. No recent incursions either, which was the worrying thing; no aliens in sight and now something wrong with Straker’s car. Add those together and you ended up with one answer. Trouble. There was nothing he could do now, apart from wait. He counted off the minutes, convinced the team should have arrived at the site, and all the time hoping that right now Ed was cursing his vehicle. Simple breakdowns happened didn’t they? Even to SHADO Commander’s cars? But in that case, why hadn’t Straker phoned? There was no answer. Freeman unfastened his jacket and took a breath; time to get organised. He sat down, fingers interlaced and elbows on the desk, thinking. ‘Colonel. Patching you through.’ There was no need to explain. Ford shook his head, an infinitesimal movement of apology. ‘No. The call was too short. I need longer.’ He looked at Freeman. ‘I’ll set up a line. Maybe next time. Sorry.’ He shrugged. The light was blinding, or perhaps it was just that his head ached abominably. It would be sensible to keep his eyes closed until the pain subsided and the dizziness eased. No point in trying to move and ending up vomiting everywhere. Past experience had taught him how unpleasant, and messy, that could be. Now it was just a case of working out what happened. An alien attack? An accident in the studios? He couldn’t remember much; everything was disordered and blurred, a nauseating confusion of flashing sounds and images. He grabbed hold of one fleeting point of reference, clung to the image until it stabilized then let the memories open one by one. It all settled into place. The black Range Rover had been ahead of him at the lights again. The third time in a fortnight. Nothing too unusual about that; he changed his route and timing as much as possible, but there were only so many roads between his house and the motorway access. There were bound to be occasions like this. Straker turned on the radio and adjusted the volume, letting his fingers tap along to the music. For one moment the thought flitted through his mind that perhaps he should take note of the license plate, but the lights changed and he slipped the powerful limousine into first and pulled away, following the other car, its driver invisible behind the dark windows. The slip road was still quiet at this hour of the morning and he accelerated in second gear pushing the car forward and starting to overtake the slower Rover. He noticed the same breakdown truck as on previous occasions, parked yet again on the hard shoulder. That was the last thing he remembered. An accident. Nothing too serious. Nowhere else hurting apart from his head. Just concussion then. Best to lie there and let things sort themselves out. Sleep. He heard a door open and footsteps. A voice. ‘Hello Mr. Strachan. How are you feeling?’ There was a pause, a hand on his wrist. ‘Edgar?’ and he opened his eyes in a sudden jolt of fear. ‘Have you checked it?’ Freeman held the small flash drive up to the light, staring at it as if hoping to find something the security team had missed. It was a cheap brand, freely available in supermarkets and online, the blue plastic wiped clean, no fingerprints at all, not that they expected any. There was no point in wasting energy trying to track its source, far better to spend the time trying to analyse the contents. ‘Tech department say it’s clean. No viruses. Just a file. They didn’t open it.’ Lockhart put an envelope on the desk. ‘Nothing on this either. They would have worn gloves of course. Address printed on a cheap printer, envelope bog-standard from any big supermarket. Sorry Colonel.’ He looked shamefaced as if he was to blame for the lack of forensics. Alone in the office, Alec tossed the small object in his hand for a moment, and then locked the door and inserted the drive into his laptop, watching the screen without a flicker of emotion. They were waiting. He swivelled the screen so that they could all see it then ran the film again. No one spoke. A bleak room. One window, one bed. They listened to the persuasive voices and the hesitant answers, hearing confusion and doubt in that familiar Boston accent. The screen blanked and Alec swore under his breath. ‘Bastards.’ The word choked him. He spun the laptop back, pulled the stick out and placed it on the desk. Jackson sat motionless, his fingers interlaced and his eyes far away. ’Clever. Very clever.’ There was a note of appreciation in the psychologist’s voice. ‘Alec.’ Virginia put a hand on his arm. ‘As soon as I learn anything. Alec.’ Jackson wrapped his fingers around the bright blue plastic as if to hide it. ‘Colonel.’ He gave a brief nod to Lake before hurrying out. Alec bit his lip. Day Five. How many more? No alarm now to wake him for work. No mobile on the bedside table. He lay there, staring at the ceiling his listless eyes watching dust motes tumble in the subdued light. Opaque blinds masked the small window, softening the sunshine from outside. Not that he was bothered about the weather. He wouldn’t be going out today. Hadn’t gone out yesterday, or the day before. Couldn’t remember the last time he left this room, whether he ever left it in fact. Didn’t even know where he was, or what lay beyond the door. Not even sure what day it was. How long had he been here? Days? Weeks? Or perhaps longer; the past blurring into a fog of confusion. He used to remember things, important things, didn’t he? Or was it all a dream, a nightmare? She would be coming in soon, with her sympathetic words and her soft voice. He hated all of them, hated their lies. They were so credible and so sure that he was mistaken that by now he was close to accepting what they said, doubting even his own veracity. Lies or the truth. He was no longer certain. 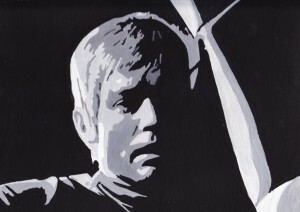 He heard voices outside the door, footsteps halting and the click of a key turning. They locked him in at night for his own protection; at least that was what they told him, but he didn’t believe them. He lay there and waited. He could do little else. Co-operate. He knew what she meant and he remained silent. It was pointless arguing. She just told him that he was being foolish. She was so convincing, so positive that she was right and every time he retorted that his name was Edward, Edward Straker, she gave a sigh of displeasure before informing him that SHADO didn’t exist and he was imagining it, was living a fantasy world full of make-believe people. It was nothing more than his mind attempting to escape the reality of his life. And with every day that passed it became harder to separate the hazy memories of his past reality from what she said. There was a time when he would have insisted that she was wrong, but now he was no longer sure. Dr Claire Bowman. That was her name. A junior doctor, working for the rehabilitation clinic. Dr Cooper was the man in charge. Cooper and Bowman. He tried to sit up, but she put one hand on his shoulder and he lay back. ‘Stay there Edgar. The orderly will be along in a while and Dr Cooper will come to see you afterwards. And this time…’ She frowned as she looked down at him. ‘Try not to argue. He is only trying to help you. We all are. Trust us. ‘Not Edgar. Edward.’ How many times did he have to tell them? Yet they still maintained that he was Edgar. They had brought his passport and driving licence. Edgar Strachan. His photograph. His scars. But that was not him. Not Ed. He turned his face away, hopeless. ‘No.’ He had no intention of telling her that his head ached. She would blame it on his continuing resistance. Her fingers trailed over his cheek and he kept still, enduring the touch though his mind wanted to scream. ‘I’ll give you something to lower your temperature. It should make you more comfortable.’ She raised him up, tucking more pillows behind. The tablets looked the same as the ones she had given him yesterday, and the day before that and … He took them in his hand, his lips and mouth dry, fingers fumbling for the glass and swallowing them down with the merest sip of tepid water. The door closed behind her; he waited for the click of the lock before pulling himself upright and spitting the tablets out into his hand. He crushed them before wiping his palm on the sheet under the pillows. No one would notice the crumbs, certainly not Lawson, the sullen nursing assistant. He sat there, head aching, remembering this happening before, convinced that every morning Dr Bowman gave him the same medication under pretence of a temperature or pain relief or even antibiotics. Every morning, after he had obeyed her and swallowed the tablets, he fell asleep, waking much later, his mind once more confused. Lawson would bring breakfast and leave him drowsing in the thick, oppressive murmuring of the air-conditioning unit, the hours passing unnoticed until Cooper bustled into the room to sit and talk, his quiet words filling Edgar’s mind and crushing any remaining scraps of resistance. The hateful and persuasive voice, telling him to let it all go, to erase the fantasies from his mind, to talk to Cooper, tell the doctor everything about the fairy-tale world of SHADO. The people, the places, even the trivial things like the passwords and codes. Expunge them from his mind, admit that they were false, that it was all false. 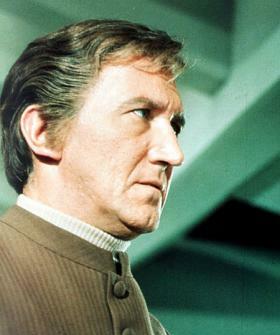 Only then would Edgar’s subconscious accept that SHADO did not exist and that he was imagining it all. Only then would his mind accept the truth and start the slow process of recovery and Edgar would be able to return to his family. Cooper would start with the gentle, easy questions. Who designed the uniforms? Which of his friends worked with him? Then the trick questions started. Are the ‘aliens’ are from this solar system? Why keep their existence a secret? Do your friends at work know about this imaginary organisation? What would your head teacher and the parents say if they knew you were living such a fantasy? Stop it now Edgar. Tell us all about SHADO and we can help you overcome this daydream, this fallacy. Once or twice he, Ed – or was he Edgar – came close to slipping up, starting to answer back with a sharp retort, a response to clarify the truth before checking himself. And each time it took him longer to regain his identity, to recall that he was not Edgar but Ed, and that all this was a lie, an attempt to bewilder him. But not today. Today was different. Today he was awake and alert, at least more alert than for a long time. Last night he was handed the usual tablets and out of sheer bloody-mindedness pretended to take them, sleeping free of drug–induced nightmares to wake with his mind clear and the truth returning. Ed. Not Edgar Strachan. 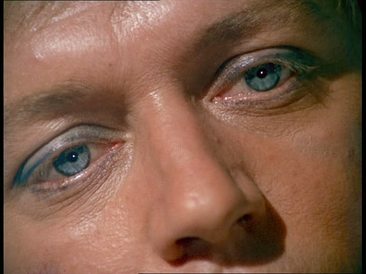 Ed Straker. It was coming back to him, the memories, the reality. He had to get out of here. His watch lay on the cabinet. No, not his, although they assured him it was. His watch was not like this, its cheap plastic strap worn and cracking, the dial flashy and oversized. He wrapped it around his wrist anyway aware that his hand looked unfamiliar and thinner than he recalled, the knuckles white and skin loose. The hands of an invalid. How had he ended up like this, worn and feeble as though he had done nothing other than lie here out of sight in this bland room, not even able to see outside? They never opened the blinds that covered the small window and he could not recall ever leaving this place. Bowman said three weeks. Was it that long? Where had the days gone? In sleeping, drowsing, slumbering; unnumbered hours spent in nightmares, dead to the real world, his body deteriorating and his mind weakening under the onslaught of words that sought to turn him from the truth. The strap fitted as though he had worn it for months, the prong of the buckle slipping straight into the hole in the thin plastic. His watch? Doubt overwhelmed him once more. It would be so easy to do as they asked; admit that he was Edgar Strachan, inoffensive physics teacher, science fiction fanatic. A modern Walter Mitty. And with a cold wrench of horror that twisted his gut, he remembered wearing this very watch in school during interminable hours teaching the laws of physics to unwilling adolescents. Perhaps he should give in. Admit that he was Edgar. Tell them what they wanted to know. Get the memories out of his mind. The passwords and details that he had guarded for so long, or invented, as Bowman kept insisting. Dr Cooper would take him outside into fresh air and sunshine, let him listen to the radio, bring him a newspaper. He could find out what was happening in that world outside this bleak room. No. It was not his watch, however snugly it wrapped around his wrist as though it belonged there. He was Ed Straker. His world was real. His fingers shook despite his determination. A few minutes after seven. On other mornings he would have fallen asleep again, waking only when Lawson arrived to help him into the bathroom and afterwards bring him a tasteless and unsatisfying breakfast. He would eat a few spoonfuls before falling asleep. But today was different. Today he was awake and they would not disturb him for perhaps another couple of hours. Was that enough time? The wheelchair was in the corner of the room. He had to find something to wear, get the door open, and then, somehow, impossible though it might seem, find a way out of this place. He flung back the sheets, looking down at his legs as if seeing them for the first time. Pale and wasted. How long had he been lying here in this room, immobile, not even walking to the bathroom and back? No wonder he was so feeble. Even that small act of sitting and pushing the covers away had wearied unused muscles. It was pointless. He would never break free. They would be waiting for him outside, their soft voices and the whispers in his mind blotting out his previous life. Trying to put something else in its place. Someone else. Edgar Strachan. Science teacher at Harlington-Straker Comprehensive. He looked around the room. The small array of cards on the cabinet the only splashes of colour, the only indications of a world outside this room. He didn’t remember opening them, in fact couldn’t even remember seeing them before. How long had they been there? He reached out and shuffled through the small collection. One from his head teacher, James Henderson. Doubt filled him again. Was that the truth? 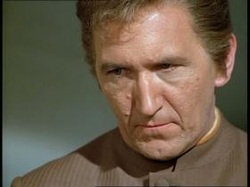 Was it all in his imagination – SHADO, aliens, Moonbase? More cards, more familiar names. Keith Ford, his drinking partner and football rival, promising to take Edgar to the next derby and buy him a pint. Keith supported Chelsea. Rubbish team. Tottenham were going to thrash them this year. Alec, Paul from the I.T. department, Miss Ealand in the Bursar’s office. All names he knew, names from the staffroom but the faces were indistinct and he could not picture them in his mind. He read the platitudes, those trite messages people write when at a loss for words. And then, the final two cards. A hand-made one; his own hand shaking as he read the words on the front. ‘Get Well Daddy’. He opened it, his heart pounding fit to burst. A ticket to the next match at White Hart Lane covered the handwritten message inside the card. He lifted the strip of card and read the words underneath. John. Oh god. John. Lying on the verge, in the hospital, in the white coffin. And yet he remembered John visiting him the other day. Yesterday? The day before? John had tried not to cry. And Mary, she had been there, smiling even though she was upset. They hadn’t stayed long; Cooper only allowed them a brief visit but Mary kept telling him that she loved him and she wanted him to get better and all he had to do was accept what had happened and Henderson was already working out a reduced timetable so that Edgar could be back teaching. How could he have forgotten Mary and John? Her words floated in his mind. ‘We want you home Edgar. Both of us.’ He remembered her kiss, her scent, her hand stroking his face. She had given him the cards and left and John had given him a shy, half-scared, wave. Why had he forgotten them? ‘Mary.’ His voice was a whisper. The cards fell from his hands, slithering onto the bedcover, and he sat there, eyes stinging, wondering how he could have been so stupid. John. Mary. His family. What was he doing here, pretending that John was dead, that Mary, the wife he adored never wanted to see him again? What had he said when she came to visit? Had he upset her? Or John? What an utter fool he was, risking everything of value, everything he held dear, not only family and friends, but all those little things that made life meaningful: Saturday afternoons on the terraces shouting on his team with John beside him, once a week having a couple of pints at the Golden Lion with Keith and arguing about football, eating curry and complaining about the state of education. John was doing well and had a place at a first-rate secondary school next year. Confusion burned in his mind. Which of his lives was the real one? Ed Straker and SHADO, or Edgar Strachan and Harlington-Straker Comprehensive? And more to the point, which life did he want? Did he even have a choice? He looked at the cards again, concentrating on those familiar names. Nina. He knew that name, knew that face. He closed his eyes and took a deep breath. It was not the stale air of Skydiver, stinking of burned electronics and carbon dioxide, but even so he was back there in the control room with Nina beside him. How could he forget? It was not possible to invent something so harrowing even in his wildest imagination. He flung the cards across the floor. ‘You need to stop this ridiculous charade and accept reality.’ Bowman’s venomous words burned in his thoughts and resolve filled him. He was not Edgar. He was Ed. Ed Straker. He was. He knew he was. He held onto the thought. 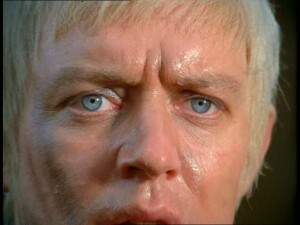 Ed Straker. And SHADO. SHADO was real, Alec was real. Paul and Virginia. Nina. And the same doggedness that kept those names alive in his mind forced him to move stiff limbs, dragging them off the bed until he was sitting there, feet on the floor for the first time in …he had no idea. No idea how long he had been here, or whom these people were, no idea who they worked for, or what they wanted, although he had his suspicions. He knew what they wanted. Those details. And more besides. They could have torn those from him by other means: drugs, torture, coercion, but this was….. clever. Very clever. They wanted more than just SHADO’s secrets. They wanted to destroy him. Payback. A neat revenge. He wondered how long they had taken to set it all up: the Range Rover, the breakdown truck to get his own car off the slip road and out of sight and, more frightening than anything else, those all-important background details. Ford and Mary and John. He shivered with the thought that aliens were behind this. No-one else could have devised such a plot. But that didn’t matter. Nothing mattered right now apart from getting to the wheelchair and once there he could plan his next move. It was hard keeping upright as he shuffled down to the end of the bed. The metal frame rattled, and the constant dread that they would hear him moving made him flinch at every noise, but he made it, sat there resting his hand on the bars at the end, feet on the floor, legs aching with weariness. This was bloody stupid. What did he hope to achieve? He may be able to walk to the door but that was all. He should give up now. He put his head in his hands. The sound of footsteps startled him and he froze, waiting for them to come in and find him. It would be the end. They would drug him again but this time they would not be gentle, they would break him. They would take away everything that he was and put Edgar in its place. They would rip SHADO’s secrets from him, every last one. He clung to the bars, wondering whether he had the strength to stand up when they entered, to have the satisfaction of being Ed Straker, for perhaps the last time. The footsteps paused. He held his breath, heard them fading into the distance, the sound of a heavy door closing and then… nothing. He looked at the cheap watch on his wrist. Five minutes. It had taken him that long to get to the end of the bed and recover his strength. It was hopeless. And then, above his breathless gasps, he heard a familiar voice telling him he was wrong, he was not even an American, was living a pathetic fantasy; the words whispering and murmuring deep in his mind, telling him to forget SHADO, to forget about aliens, to accept his real name and go home to Mary and John where he belonged. He leaned forward, hands over his ears in a desperate attempt to stop the treacherous thoughts. The silence startled him and he looked up. Those voices were not in his head, he was not going crazy. He could hear, with absolute clarity, Bowman and Cooper talking to him. But not in his mind. Their voices filled the room, and he knew. At last, he knew for certain. ‘Failure? It could come down to that, you know. We should think about what we might have to do if we don’t…’ Alec gulped his drink and put the empty glass down on the table. He leaned back, stretching with weariness. ‘And?’ Alec asked, his hand on the intercom switch. He glanced up at Virginia across from him and shook his head in frustration. The voice started again. Louder this time. ‘Your failure to comply with our demands was only to be expected. That is of no real importance. We anticipate that shortly,’ and there was satisfaction in the bland voice, ‘your commanding officer will give us the information we require; details of all SHADO’s installations and weapons. 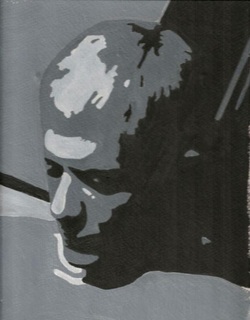 We will have your organisation at our mercy and in return we will give you back … Edgar Strachan.’ The connection went dead. ‘Well? Jackson?’ Freeman’s anxious voice broke the silence. The psychologist nodded in affirmation. ‘I am on my way Colonel.’ The screen went blank. Freeman took a deep breath. ‘Very well. I’ll add his name to the team. I just hope Ed is …………’ his voice trailed off. The whispers were in the room, not in his mind, talking to him, calling him Edgar, telling him about his life at Harlington-Straker Comprehensive. The voice was unrecognisable, the words persuasive. He looked around the room for the source. There. A tiny speaker concealed in the cracks between ceiling tiles. Now he knew for certain. Voices, brainwashing him as he slept away the hours, reinforcing the indoctrination. He looked at the cards scattered across the floor. They were as forged as his memories of teaching 10 Red, the worst class in the school. He had never taught 10 Red nor spent evenings drinking pints of bitter and chatting to Keith. No Saturday afternoons on the terraces watching Spurs. He didn’t even like football. And no John. That was the hardest part. John was dead. Ed Straker knew that. Had known it all along, but it was hard to discard those dreams in which Mary loved him and John was alive. Such beguiling dreams. He closed his eyes but Mary’s face was burned on his retina, a look of utter horror as his hand slapped her, of contempt as she said the words. You always had to go. Such hatred as she screamed she never wanted to see him again. ‘Mary.’ He whispered her name again in remorse, but he knew the truth. Too late for lost desires now, he knew where his future lay: SHADO and aliens and Moonbase, not the false world of science classes and lesson plans. Nevertheless the words persisted. He was still aware of them in his mind, their tantalising promise twisting his thoughts, Mary and John beside him, sharing his life. Panic filled him. If he could not stop those words then he would be lost. Soporific and mesmerising, they strove to pull him back from the harshness of a dead son and his solitary life, wrapping him in the comfort of friends and a life away from the unforgiving life of SHADO Commander. And if he submitted he would hand SHADO’s secrets to Cooper and Bowman and whoever else betrayed him with names of his friends and colleagues and details of his life. He was close to the wheelchair now, an arm’s length away, a light-year away, his arm reaching across the chasm, stretching until one fingertip caught the edge. He pushed himself further, leaning over the bars at the end until fingers crooked over the armrest and he started to pull. A careful shuffle, pausing as he summoned up the courage to swing himself over the gap, a creak of his weight settling into the seat. He leaned over to release the brakes, nearly toppling and swearing under his breath. Stupid. He needed to take his time, not rush into action. Deep breaths calmed him and he looked around, seeing the sparse room for the first time from this different aspect: crumpled sheets on the bed, jug of water on the cabinet, cards strewn across the floor and, at the end of the bed, a locker. His hands turned the wheels, moving him closer and he opened the drawer, pulling out pyjamas and allowing himself a tight grin of triumph. He tossed the garments onto the bed and began massaging his limbs as far down as he could reach, fingers digging in, squeezing and rubbing, ignoring the sharp stabs of discomfort as unused muscles cramped. He lifted one knee -a cautious movement – then put his foot on the floor and pressed down. The other foot, before shuffling to the edge of the seat and holding the armrests in a steel grip. No time to practise or build up his strength, no time to do anything other than risk it all on one single action. Edgar Strachan might sit here in this wheelchair and submit to their demands, but Ed Straker would not. He stood, balancing himself with exquisite care, holding the armrests and leaning forward until he dared straighten. He did not stand there for long. A couple of seconds was enough to restore the strength of mind that had eluded him in recent days. It was enough to drive him onwards. He tumbled onto the bed, gasping with the effort and the elation of success. The pyjamas were loose on him and his feet bare, but that did not matter. Nothing else mattered now that he could sense his strength returning. He may be able to walk out of here, unaided, but for now, he used the wheelchair as support, pushing it ahead and shuffling across to the bathroom. As the door closed behind him he realised something was wrong. He twisted around, concerned that perhaps Lawson had crept into the room, but he was alone and then he knew. An absence of voices. In his fierce concentration to get mobile once more he had forgotten the whispers permeating the other room. The emptiness was almost physical and he stood for a moment, grasping the chair, his mind buzzing in the silence. Enough. He locked the door, aware that even that small action would be useless should Lawson or the others enter the room, but it would give him some warning. He leaned against the sink, splashing water on his face, the taste on his lips awakening him to his own desperate thirst. They always gave him water from the jug, refilling it while he was sleeping. It tasted … strange, but he had not commented on it. Now he drank deeply, cold clean water. No taint of additives here, and, his thirst quashed, stood straight, strength flowing through him as if his body had craved that one pure drink. He looked around. Tissue paper. He pulled a couple of sheets, tore them into shreds, stuffing them into his ears. It deadened the words enough to let him focus on his next task. He stumbled back to the room, still reliant on the chair for support, but each step bringing new strength, his muscles rejoicing after such long neglect and those voices nothing to him now. No distraction. The door was locked. He tried the handle, more out of habit than from any hope that they would have forgotten, but it resisted his attempts to force it open. A simple internal lock, but even that was sufficient to trap him. He looked at it, running fingertips over the keyhole, remembering. A piece of metal. Strand of wire, hairclip, anything. He looked around, no desk, no equipment; nothing to help him. The buzz of voices distracted him again. He could hear muffled words, and despite his reluctance, he found himself craning to listen. Keith. Harlington. Mary. John. John. Please, not John, who had sent him a home-made card. White card. Spurs colours and with a match ticket inside – 17th July against Stevenage – and even now Edgar betrayed him with a rush of conceit. Spurs would thrash Stevenage. He shook his head to dispel the intruder and then recalled the ticket, fastened to the card by a paper-clip. A strong paperclip. He might still win. He would have to get down to the floor to reach the precious card; there was no way he would be able to bend and pick it up but his victory over Edgar had given him courage and, first balancing himself on the edge of the bed, he slid to the floor. There was dust under the bed, thick dust, together with discarded syringes and plastic wrappers. He sat for a moment before reaching for one of the wrappers, his fingers smoothing it so that he could read the label. Phentothiazide. A familiar name and he wondered why. He tucked the wrapper into the pocket of the thin cotton jacket and then remembered; Jackson. One of the doctor’s reports a couple of months ago was about a new anti-psychotic drug. Jackson was hopeful that it would make aliens more susceptible to interrogation. Phentothiazide. That was the name. He pushed his sleeve up, staring at mottled bruises in the crook of his elbow. They had drugged him, and more than once, and with a flash of horror he realised that there might be no escape, not from here. They could dispose of him once they had what they wanted. SHADO’s secrets. The means to destroy the organisation. He would not tell them. He straightened up, dropping one hand to let it trawl across the floor as he thought about his future, then looked at the marks left in the dust by his doodling. Ed Straker. His fingers knew his name, even if he was uncertain at times. The card was within reach. It took him a second to pull the paper clip away before shredding the card into tiny pieces and brushing the scraps onto the floor where they belonged. The metal frame of the bed provided handholds but it was his anger that helped him most as, shaking with rage, he pulled himself upright, standing defiant and resolute. No need for the chair this time. He took the steps to the door and leaned against it, fingers bending the paperclip out of shape before inserting it into the narrow keyhole. A straightforward lock, nothing fancy or strong, but sufficient to keep him contained here. He could do this. He had to do it. He closed his eyes to concentrate on the sensations: the wire sliding inside the lock and rasping on the metal, his fingers pushing it harder, his other hand twisting the handle. The click, when it came, was hardly noticeable but the handle turned and the door opened a crack. He secured the lock and closed the door again. Now it was time to prepare for whatever was out there. He pulled the tissue from his ears, flinching as voices penetrated his mind once more. They seemed to be louder, more insistent if anything, and he knew that Edgar was lurking in the recess of his mind, but he needed all his senses if he was to get out. Time to open the door and face them. He had no weapon, nothing to defend himself but, for the first time in days, he was not afraid. He held onto the door and peered outside, expecting wide corridors and doors leading to other rooms. Nothing. Literally nothing, apart from a vast open space so large and dimly lit that he was unable to see walls at the far end. Darkness? But it was daylight outside his room, and he turned round to look behind him at that small window with its bright light. Not sunshine. Where the hell was this place? He took a cautious step outside, clinging to the frame of the door and shaking with the realisation that all this was false, and his room, which had imprisoned him for so long, and which he thought was one small part of a large medical complex, was in fact a fake. Stud partition walls, and an exposed wooden framework. He stumbled away from the door into the warehouse, or whatever it was. He would not have been surprised to find a film crew in the corner; it was so reminiscent of one of the sound stages, but whatever this place was, it was cavernous. And deserted. He could see light behind him, casting shadows across the dusty floor. Light. And then he saw the spotlight shining against the small window with its opaque blind. It was not daytime. Or was it? There was no light from outside the warehouse or soundstage or whatever it was. Did that mean it was night outside, in the real world? Just how many days had he been here? Was this just to confuse him further? To warp his mind so much that, if he came face to face with the reality, he would crumble. He could believe nothing not even his own sanity. He stepped out and closed the door behind him, cutting off the compelling voice in mid-sentence. There were no other sounds in the still air, just his own gasping breaths. He took a tentative step, another. And again, until he was walking around the outside of the room, one hand reaching out to the wooden structure of the outer walls, ready to grab should his strength give way, stepping over pipes and electrical cables running into one side of the building. They had considered every aspect, making this place as real as possible. Perfect deception. All this to make him believe that SHADO was nothing more than a figment of his imagination, to get him to talk, tell them the details they needed. But he hadn’t given them what they wanted. Had he? Fear struck him and he stood there, wondering what else they might have done, if he was even on Earth. Could it be that Cooper and Bowman and Lawson were aliens? The thought was ridiculous, but they had fooled him so far and he could trust no one. He turned the far corner. In the dim light he caught sight of the Range Rover and halted, struck by sudden panic. It was as he remembered, an anonymous vehicle, no identifying marks, its tinted windows hiding any passengers. Perhaps they were inside the vehicle even now, laughing at his attempt to escape. He clung to the frame of his prison, waiting. Seconds passed. No car doors opening, no angry voice shouting. He was alone here but they would be back some time, might even be on their way right now. He went over to the Range Rover only to see on the other side of it, hidden by the bulk of the larger vehicle, his own car with shattered windscreen and crumpled passenger side where the Range Rover had slammed into it. There were deep gouges on the driver’s side from scraping the crash barrier. He remembered the impact, the air-bags exploding, the sound of voices, and being hauled out of the vehicle too dazed to resist. His car was useless, but he kept a spare mobile in the glove box, just for emergencies. It might still be there. He peered inside the Rover, seeing his briefcase still on the passenger seat. The window was gone, broken glass strewn everywhere and it was a simple matter to reach in and pull out the briefcase before scrabbling through the papers in the glove box. As he expected, the phone was not there. He leaned against the car, trying to calm himself even while he was listening for any indication that Cooper and Co, as he was beginning to call them, were returning. It was foolish staying here but he needed to rest and he turned back to the Range Rover, trying the passenger door. It opened and he tossed the briefcase in, hauling himself up onto the seat with a sigh. The car’s internal light illuminated the interior as he closed the door. It was a relief to be behind the dark glass and out of that open space with its threatening emptiness. The Rover’s glove box was unlocked and, desperate to get any information about his captors, he opened it, stretching fingers out to explore the depths. There was a familiar shape in the corner. A phone. The last thing he had expected. Fingers fumbling with impatience he switched it on and peered at the screen, hoping. Enough battery power, enough credits. He could not risk contacting SHADO directly, not without a secure line, but he might get through to Miss Ealand, unless it was night outside. He pressed the digits with care, aware that he might have this one chance. If his guards realised that he escaped they would be on their way to take him back to that small room. The phone connected. He held it to his ear, desperate to hear a familiar voice. The automated reply was the last thing he expected to hear. He spun the briefcase around, looked at the small metal plate that was engraved with his name. Edgar Strachan. Oh god… The phone slipped from his fingers. His strength gave way, and he slumped onto the seat as the interior light went out. They had won. They had crushed him. Completely. Unseen in the darkness he closed his eyes. They would find him soon enough. Perhaps they were right after all. Perhaps he was Edgar. This entry was posted in 3. UFO fanfiction, UFO Stand Alone and tagged Ford, Jackson, mind games, Straker by Ltcdr. Bookmark the permalink.